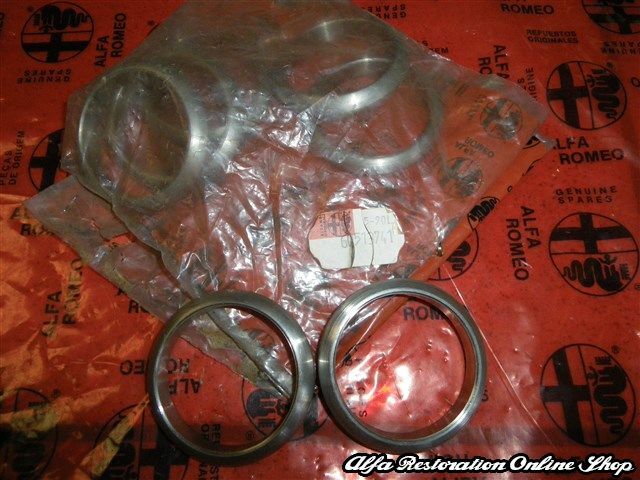 Alfa 164/166/Spider/GTV 2.0 TB exhaust manifold alloy rings. This is the alloy ring found on the exhaust and turbo manifolds. 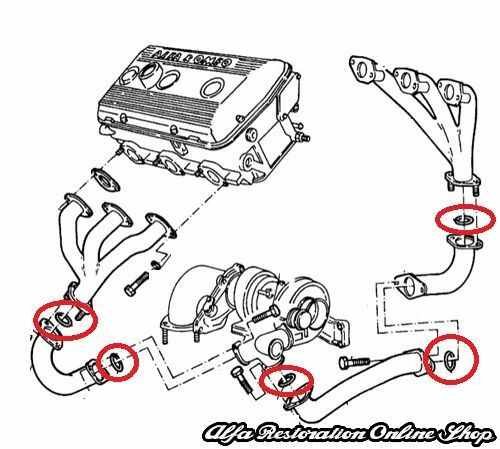 In order to replace them all, a total of five (5) pieces are needed. 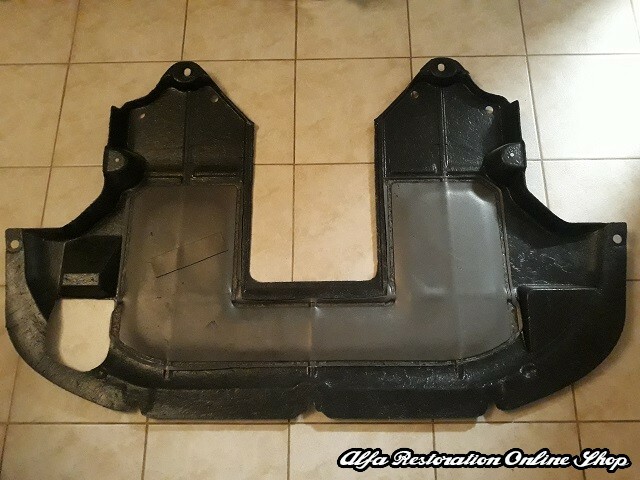 OEM part number is 60513741. Suitable for Alfa 164 2.0 V6 TB, Alfa 166 2.0 V6 TB, Spider 2.0 TB (1998 - 2006), GTV 2.0 TB (1995 - 2005).